HEAVY FIRE ON THE SECOND FLOOR, BEDROOM AND BATHROOM AREA. E122 CREW ON ARRIVAL REQUESTS A WORKING FIRE RESPONSE. BC19 REPORTS A LITTLE FIRE IN THE BASEMENT. BC19 REPORTS THE MAIN BODY OF FIRE IS OUT REQUESTS HOLDING UP THE SQUAD, COMMAND VAN AND RIT BY 5:56 PM. REPORT OF AN ACTIVATED FIRE ALARM WITH SMOKE SHOWING INTERIOR. ACTIVATION COVERS WATERFLOW 4TH FLOOR STAIRS. E54 CREW REPORTS A MULTI-STORY RESIDENTIAL BUILDING WITH NOTHING SHOWING, AND PARTIAL EVACUATION AT 4:55 P.M.
REPORT OF SMOKE COMING OUT OF APARTMENT 405 . E54 INTERIOR CREW REPORTS WATER RUNNING DOWN THE STAIRS AND SMOKE ON THE 4TH FLOOR. CREW ON ARRIVAL REPORTS SMOKE ON A FLOOR AND WATER FLOWING -- UPGRADED TO A CODE 3, WORKING FIRE RESPONSE AT 4:59 P.M.
E54 INTERIOR CREW REPORTS 4 PEOPLE INJURED ON THE 4TH OR 5TH FLOOR. PRIMARY SEARCH COMPLETE AND NEGATIVE AT 5:10 PM. FIREFIGHTERS WORKING ON SALVAGE COVERS TO PROTECT APARTMENT ON THE THIRD FLOOR BELOW THE FIRE APARTMENT. BC17 REPORTS CO THROUGHOUT, HEATING UNITS SHUT DOWN AND VENTILATING. CO LEVELS ARE COMING DOWN. LEVEL 1 HAZMAT SECURED AT 11:45 AM BUT KEEP THE AMBULANCES COMING IN -- ON ORDERS OF BC17. THIRD AMBULANCE ASSIGNED PER FC 4-5-2 BY 11:52 AM. ROLLOVER CRASH ON EASTBOUND I-94 AFTER THE LAKE FOREST OASIS. ONE MALE/BLACK SUBJECT EXITED THE CAR AND RAN TOWARD THE OASIS. BLACK OR DARK JAGUAR ON ITS ROOF BLOCKING SEVERAL LANES. ILLINOIS POLICE AND SEVERAL LOCAL POLICE AGENCIES SEARCHING FOR THE SUBJECT -- SUBSCRIBED AS A MALE/BLACK, AGE 20-30 RUNNING NORTHBOUND IN THE SOUTHBOUND LANES AT ABOUT 2:31 AM. SUBJECT POSSIBLY IN CUSTODY AT RESIDENCE INN CHICAGO LAKE FOREST/METTAWA, 26325 RIVERWOODS BLVD, METTAWA, IL 60045. SUBJECT BEING EVALUATED BY LIBERTYVILLE FIREFIGHTER/PARAMEDICS BY ABOUT 3:30 PM. REPORT OF A CAR CRASH SB I-294 TO EASTBOUND IRVING PARK ROAD WITH A VEHICLE SUBMERGED IN A RETENTION POND AND A DRIVER NOT LOCATED AT 2:36 AM. MABAS DIVISION 20 BOX ALARM ON BOX #3000N FOR A CAR IN A RETENTION POND. REPORT OF A PERSON TRAPPED. STRUCK OUT AT 6:55 PM ON ORDERS OF 2-2-1. PIN-IN CRASH WITH INJURIES AND A CAR FIRE. THEN 1100 WEST PERSHING ... FOUND IT. BC15 REPORTS THE DRIVER WAS OUT OF THE CAR BEFORE THE CAR STARTED ON FIRE AT ABOUT 7:26 PM. POLICE DISCOVERED A FIRE IN A 2-FLAT. CREW ON ARRIVAL REPORTS A 2-STORY ORDINARY WITH A FIRE. E116 REPOTS A FIRE ON THE FIRST FLOOR. FIRE UNDER CONTROL BY 7:45 PM. REPORT OF AN AIRCRAFT IN DISTRESS -- BC13 REPORTS AN AIRCRAFT WITH AN ENGINE FIRE. NO SIZE-UP; NO PROGRESS REPORT AS OF 12:30 PM. REPORT OF A PERSON IN THE WATER NEAR NORTH AVE AND THE LAKEFRONT. E98 CREW ON ARRIVAL REPORTS ONE PERSON IS OUT OF THE WATER AND ONE PERSON IS STILL IN THE WATER -- REQUESTING A SECOND AMBULANCE BY 3:03 AM. RESCUE HELICOPTER 6-8-2 LIGHTS ON, AND IR CAMERA ON BY 3:22 AM. RESCUE HELICOPTER 6-8-2 SEARCHING FOR ANY POSSIBLE ADDITIONAL VICTIMS OR THE SECOND PERSON IN CASE THAT PERSON DID NOT MAKE IT TO SHORE. BC12 REPORTS A43 TRANSPORTING ONE MALE VICTIM CODE RED BY 3:54 AM. RELEASING RESCUE HELICOPTER 6-8-2. RESCUE OPERATIONS HAMPERED BY LARGE WAVES. COMPANIES PICKING UP ABOUT 4:08 AM. POLICE REPORT WOMAN, WHO WAS THE SECOND PERSON MISSING IN THE WATER, SWAM TO SHORE AND WALKED HOME, AND WAS FOUND AT 1550 N LAKE SHORE DRIVE BY 4:10 AM. EMS: A43 FC ?? STANDBY A ?? REPORT OF A CRASH WITH ENTRAPMENT INVOLVING A SEMI-TRAILER TRUCK AND A CAR UNDER THE SEMI-TRAILER. REPORT OF A PATIENT COUNT OF ONE. TRUCK DRIVER REPORTS HE IS NOT INJURED. CREW ON ARRIVAL REPORTS A SINGLE VEHICLE TRAPPED UNDERNEATH AND MIDWAY THROUGH A SEMI-TRAILER. SHERIFF UPON ARRIVAL REPORTS THE CAR IS ON TOP OF A PATIENT BY 6:46 AM. 312 ON ARRIVAL REQUESTS MEDIC 352 TO THE SCENE. COMMAND REQUESTING STATION STANDBY AT 6:55 PM. CAR REMOVED FROM UNDER THE SEMI-TRAILER, BUT STILL WORKING ON REMOVING THE PATIENT FROM THE CAR BY 7:00 AM. SUPERIOR AMBULANCE AIRMED1 TAKING OFF BY 7:01 AM. SUPERIOR AMBULANCE AIRMED1 TRYING TO REACH E305 ABOUT 7:05 AM. HELICOPTER ON THE GROUND BY 7:10 AM. PATIENT EXTRICATED BY 7:10 AM. REPORT OF A HOUSE FIRE AT 41ST AND KEDZIE AVE CHICAGO. E65 CREW ON ARRIVAL REPORTS THEY HAVE A FIRE. BC15 REPORTS A 2-1/2-STORY FRAME, 25X75 WITH A FIRE ON THE TOP FLOOR, E65 LEADING OUT, OCCUPIED BUILD, T52 PUTTING THEIR AERIAL UP BY 3:29 PM. WATER ON THE FIRE IN THE ATTIC AT 3:33 PM. FIRE WAS IN THE ATTIC. PRIMARY AND SECONDARY SEARCHES ARE COMPLETE AND NEGATIVE IN THE ATTIC BY 3:43 PM. UPDATE: MALE, 18, AND FEMALE, 18, FOUND DEAD AT SCENE. FEMALE, 18, TRANSPORTED TO CENTEGRA HOSPITAL -- MCHENRY WHERE SHE WAS PRONOUNCED DEAD AT 3:57 PM. REPORT OF A ROLLOVER CRASH WITH PEOPLE TRAPPED BETWEEN ROUTE 120 AND RIVER ROAD -- JUST SOUTH OF WEGNER. TWO FEMALES IN VEHICLE ARE NOT COMMUNICATING. FLIGHT FOR LIFE ON STANDBY -- POSSIBLY UNABLE TO FLY BECAUSE OF WEATHER CONDITIONS. 3 VEHICLE OCCUPANTS TRAPPED, TWO DEAD, ONE OTHER PATIENT SERIOUSLY INJURED AND TRAPPED. REPORT OF TWO PEOPLE HIT BY A VEHICLE. POLICE REQUEST FIREFIGHTER/PARAMEDICS TO EXPEDITE. E52 CREW REQUESTS A51 TO EXPEDITE. TWO PATIENTS TREATED IN AMBULANCES BY 12:11 PM. BOTH PATIENTS POSSIBLY TRANSPORTED TO ST ALEXIUS HOSPITAL HOFFMAN ESTATES. E7 CREW ON ARRIVAL REPORTS A 1 1/2-STORY FRAME WITH NOTHING SHOWING AT 6:57 AM, THEN REPORT SMOKE SHOWING FROM THE BASEMENT AT 6:58 AM. BC7 REPORTS A 1-1/2-STORY ?? , 25X60 WITH AN AERIAL TO THE ROOF AND AND ?? LEADING OFF TO THE BASEMENT AT 7:01 AM. BC7 REPORTS 2 LINES ON THE FIRE WITH A LITTLE FIRE INTO FLOOR ONE, CHECKING THE WALLS ON FLOOR 2, PRIMARY IN PROGRESS, HOMEOWNER TELLING US EVERYONE IS OUT, UTILITIES REQUESTED BY 7:04 AM. BC7 REPORTS FIRE IS OUT CHECKING OUT EXTENSION, OVERHAUL, PRIMARY IN PROGRESS BY 7:08 AM. BC7 REQUESTS A HOLD ON THE VAN; RELEASING RIT BY 7:11 AM. 2-1-5 REQUESTS A PIN-IN RESPONSE AT 6:24 AM. CRASH REPORTED IN THE LOCALS AT THE BOTTOM OF THE RAMP OFF AT 63RD ST.
2-1-5 REPORTS HE WAS ABLE TO GET THE DOOR OPENED AND HOLDS UP THE PIN-IN RESPONSE, BUT NEEDS THE BLOCKING COMPANIES, STATE POLICE, IDOT, AND AMBULANCE BY 6:28 AM. 2-1-5 REPORTS STILL NO STATE POLICE OR IDOT AT 6:35 AM. A14 TRANSPORTED ONE PATIENT TO LEVEL I TRAUMA CENTER ADVOCATE CHRIST MEDICAL CENTER BY ABOUT 7:02 AM. REPORT OF A LOUD BOOM OR POSSIBLE EXPLOSION. INVESTIGATION SHOW THAT AT LEAST TWO MEN WERE SHOOTING RIFLES AT AN EXPLOSIVE TARGET. ABOUT TO PUT DIVERS IN THE WATER AT 11:47 AM. REPORT OF AN APARTMENT FILLED WITH SMOKE, THEN A REPORT OF A STOVE FIRE. A82 CREW ON ARRIVAL REPORTS LIGHT SMOKE SHOWING. INTERIOR CREW REPORTS STOVE FIRE KNOCKED BY ABOUT 2:14 AM. REPORT OF A PERSON HIT BY A VEHICLE IN THE MIDST OF PROTEST MARCHES FOR LAQUAN MCDONALD DEMONSTRATION. REPORT OF AN AUTO FIRE. E42 CREW ON ARRIVAL REPORTS THEY'RE ON THE SCENE OF A 9-STORY PARKING GARAGE WITH SMOKE SHOWING -- APPEARS TO BE AN AUTO. BC1 REPORTS AN AUTO FIRE ON THE 6TH FLOOR OF AN OPEN-AIR PARKING GARAGE. BC1 REPORTS WATER ON THE FIRE; 3 AUTOS ON FIRE BY 12:38 PM. BC1 REPORTS FIRE IS UNDER CONTROL WITH OVERHAUL UNDERWAY; PRIMARY SEARCH ON THE FIRE FLOOR COMPLETE AND NEGATIVE. ALSO CHECKING FLOORS ABOVE THE FIRE FLOOR BY 12:42 PM. BC1 REPORTS PRIMARY AND SECONDARY SEARCH COMPLETE ON FLOORS 6 THROUGH 10 OF THE OPEN AIR PARKING GARAGE; OFI REQUESTED BY 12:46 PM. BC1 REPORTS THE FIRE IS OUT, AND ALL SEARCHES COMPLETE AND NEGATIVE BY 12:55 PM. A2 CREW ON ARRIVAL REPORTS A VEHICLE ON ITS ROOF WITH THE DRIVER OUT OF THE VEHICLE ON HIS OWN POWER. REPORT OF A CAR VS PEDESTRIAN WITH INITIAL LOSS OF CONSCIOUSNESS AND REGAINED CONSCIOUSNESS. REPORT OF A CAR VS POLE CRASH WITH AT LEAST ONE INJURED AT NORTH SHORE SCHOOL DISTRICT. REPORT OF A FREIGHT TRAIN DERAILMENT. INITIALLY REPORTED AS TWO CARS OFF TRACKS WITH ONE REPORTED AS A TANKER WITH AN UNKNOWN CHEMICAL. BC5 REQUESTS A STILL AND BOX ALARM AFTER CHALLENGED WITH WATER SUPPLY PROBLEMS. FIRE ON THE 2ND FLOOR OF A 2 STORY FRAME 35 X 25. STRUCK OUT AT 8:26 PM ON ORDERS OF BC5. REPORT OF A CRASH INVOLVING A TRACE AMBULANCE AND AN SUV. THREE PATIENTS BEING EXTRICATED AT 4:21 PM. FOURTH PATIENT IN AN AMBULANCE BEING EVALUATED. AMBULANCE WAS TRANSPORTING A PATIENT WITH 2 EMTS OR PARAMEDICS. MEDICAL HELICOPTER; LANDING ZONE ON SUTTON RD SOUTH OF BODE RD OR SUTTON RD NEAR ASCOTT LN. HELICOPTER DID NOT LAND AT SCENE; IT WAS DIVERTED TO STANDBY AT ST ALEXIUS HOSPITAL IN HOFFMAN ESTATES. TOTAL OF 5 PATIENTS TRANSPORTED TO ST ALEXIUS HOSPITAL -- ALL BY GROUND TRANSPORTATION. EMS: A33 HOFFMAN ESTATES A24 ELGIN AMBULANCE A ?? A ?? REPORT OF 3 PEOPLE SHOT -- ONE ON THE STREET, ONE IN THE LAUNDROMAT, AND ONE IN THE PHONE STORE. TWO PATIENTS CODE RED TO LEVEL I TRAUMA CENTER MOUNT SINAI HOSPITAL. TWO PATIENTS TRANSPORTED CODE RED TO LEVEL I TRAUMA CENTER COOK COUNTY STROGER HOSPITAL. WITNESSES REPORT A MALE WALKED UP AND BEGAN FIRING HIS WEAPON. HE FLED IN A VEHICLE. EMS: A33 A64 A ?? POLICE AND FIREFIGHTER/PARAMEDICS RECEIVED A REPORT OF A FIVE-VEHICLE CRASH ON INTERSTATE 90. AMBULANCE 3'S FIREFIGHTER/PARAMEDIC CREW REPORTED FOUR VEHICLES WERE INVOLVED IN THE CRASH. ONLY ONE AMBULANCE WAS NEEDED FOR ONE PERSON INJURED. MABAS DIVISION 4 BOX ALARM (2ND LEVEL) ON BOX #16-300 FOR A STRUCTURE FIRE (APARTMENT FIRE). REPORT OF A FIRE ON THE 50TH FLOOR. FIRE ENGINE 98'S CREW -- FIRST ON THE SCENE --REPORTED NOTHING SHOWING UPON THEIR ARRIVAL. A FIRE INVESTIGATIVE TEAM WAS HEADING UP TO THE 50TH FLOOR AT ABOUT 2:41 P.M.
A STILL AND BOX ALARM AND EMS PLAN 1 WAS REQUESTED AT 2:45 P.M.
SOUTH STAIRWELL DESIGNATED EVACUATION BY 2:52 PM. WATER ON THE FIRE REPORTED AT 2:58 PM. AN INJURED POLICE OFFICER WAS RESCUED AND TRANSFERRED IMMEDIATELY TO THE LOBBY BY 2:58 PM. TRUCK COMPANIES ASSIGNED TO MEET 215 WITH THEIR FANS AT 3:02 PM. THE FIRE WAS DECLARED OUT AT 3:10 PM -- COMPANIES WORKING ON OVERHAUL. THE FIRE WAS UPGRADED TO A 2-11 ALARM AT 3:22 P.M. FOR SEARCH AND RESCUE OPERATIONS. 2-11 ENGINE COMPANIES ASSIGNED TO STAGE AT E98'S QUARTERS AT 3:28:19 PM. TRUCK COMPANIES ASSIGNED TO THE LOBBY AT 3:28 PM. FINAL WASHDOWN NO SMOKE CONDITIONS ON THE FIRE FLOOR BY 3:46 PM. EMS: A62 FC ?? STANDBY A ?? 2-11 STRUCK OUT AT 3:55 PM ON ORDERS OF 2-1-5. HOLDING THE 2-11 IN PLACE. EMS PLAN 1 SECURED AT 4:25 PM ON ORDERS OF 2-1-8. PERSON FEELING DIZZY AT THE TALMAN ANNEX AT 231 TALMAN AT 8:41 AM -- EXTRA AMBULANCE RESPONSE..
BC15 REPORTS AT 8:46 AMGAS COMPANY ON SCENE WITH BUILDING MAINTENANCE ENGINEER, LEVELS DOWN TO 30 PPM FROM 80 PPM AFTER VENTILATION WITH AN ELECTRIC FAN. VENTILATING AND SOURCED PINPOINTED BY 8:48 AM. READING DOWN TO 18 PPM -- SITUATION BELIEVED TO BE UNDER CONTROL BY AND PEOPLES GAS ON SCENE BY 8:53 PM. READINGS DOWN TO THE SINGLE DIGITS AND XERO IN THE BOILER ROOM BY 9:08 AM. SOURCE BELIEVED TO HAVE BEEN ERADICATED -- OPEN DOOR NEXT TO BOILER ROOM WITH DAMPERS OPEN. A8 TRANSPORTING TO VICTIMS CODE GREEN TO ST ANTHONY'S. TOTAL OF 3 EMS TRANSPORTS AND 4 MEDICAL REFUSALS. NO STUDENTS WERE IN SCHOOL AT TIME OF ELEVATED CO.
EMS: A21 A8 STANDBY A ?? MOTORCYCLE CRASH WITH INJURIES ON SOUTHBOUND ROUTE 53 JUST SOUTH OF THE ONRAMP FROM EUCLID AVENUE. MOTORCYCLIST UNCONSCIOUS IN THE CENTER LANE. TRANSPORTED TO LEVEL I TRAUMA CENTER ADVOCATE LUTHERAN GENERAL HOSPITAL -- LEAVING THE SCENE BY ABOUT 8:34 AM. ONE ENGINE AND ONE AMBULANCE ARE ALL THAT IS NEEDED. BC21 REPORTS A CAR HIT A POLE AT 103RD AND WENTWORTH -- BC21 CONTINUING TO 113TH AND STATE . REPORT OF A FIRE IN A BRICK 2-FLAT. E117 CREW ON ARRIVAL REPORTS A FIRE ON 2 IN A 2-STORY BRICK. BC18 REPORTS A 2-STORY ORDINARY, 25X60, CREWS CAN HANDLE -- HOLDING UP THE WORKING FIRE RESPONSE. FIRE IS EXTINGUISHED, PRIMARY SEARCH COMPLETE AND NEGATIVE BY 8:22 AM. REPORT OF CTA PASSENGER TRAIN DERAILMENT. TRAIN IS IN THE "YARD" WITH NO PASSENGERS ON BOARD. E117 CREW ON ARRIVAL REPORTS SMOKE SHOWING. BC18 REPORTS THE FIRE IS IN A RED-X BUILDING. BC18 REPORTS A 1-1/2-STORY RED-X BUILDING, 25X60 WITH AN EXTERIOR DEFENSIVE ATTACK AND 2 LINES ON THE FIRE. FIRE THROUGHOUT, BUT FIRE IS KNOCKED DOWN BY 6:17 AM. SECONDARY SEARCH COMPLETE AND NEGATIVE BY 6:30 AM. REPORT OF A FIRE IN A STORE. E45 CREW ON ARRIVAL REPORTS REPORTS A LITTLE SMOKE SHOWING FROM A STOREFRONT AT 10:32 PM. BC5 REPORTS A 1-STORY ORDINARY, 150X75, WITH FIRE IN A COMMERCIAL STOREFRONT, AERIAL TO THE ROOF, GROUND LADDERS TO SIDE C, HANDLINES BEING LED OUT WITH FORCED ENTRY UNDERWAY BY 10:35 PM. 5 LINES ON THE FIRE WITH TL37 STARTING UP, DEFENSIVE MODE ON A 2 1/2-STORY 50X100 AT 10:54 PM. TL39 AND E19 ASSIGNED TO COME IN FROM THE NORTH -- E19 TO FEED TL39 -- THEN ASSIGNED TO COME FROM THE SOUTH, THEN CHANGED TO BACK IN FROM THE EAST TO THE AB CORNER. LARGE QUANTITY OF FIRE IN THE ORIGINAL BUILDING ON SIDE, WEST EXPOSURE. TL37 ATTACKING A-SIDE AND TL39 ATTACKING C-SIDE. FUEL TRUCK ASSIGNED FOR TL37. TL37 RUNNING HOT AND WAS SHUT DOWN, THEN WOULD NOT STARTUP BEFORE 1:53 PM. TL34 ASSIGNED TO REPLACE TL37 BY 11:53 PM. TL34 ASSIGNED TO COME IN FROM THE EAST TO SIDE-A AND REPLACE TL 34. FIRE FROM THE ORIGINAL BUILDING HAS BREACHED THE FIREWALL FROM THE EAST -- REPOSITIONING TL34 AT ABOUT 12:28 AM. TL34 BEING MOVED TO THE B-SIDE FOR A LARGE QUANTITY OF FIRE AT 12:32 AM. 2-1-29 REQUESTS THE SPARE SNORKEL AT 12:35 AM. SNORKEL ASSIGNED TO COME IN FROM THE NORTH BY 47TH ST INDIANA AVE AT 12:47 AM. MAKING PROGRESS AT 12:58 AM. SNORKEL NO ASSIGNED TO COME IN FROM THE EAST SIDE STRAIGHT DOWN 47TH ST AT 1:05 AM. -- E35 WITH RESERVE SNORKEL ABOUT 5 MINUTES AWAY. MULTIVERSAL, ESTRA SNORKEL AT SIDE, TL34 AND TL37. THE EXPOSURE BUILDING IS A 2-STORY, 25X50 -- NOW INVOLVED. STRIKING OUT 2-11 AT 2:04 AM ON ORDERS OF 2-1-29. E19 AND TL34 ARE ON SIDE-D. TL39 WORKING ON THE ORIGINAL BUILDING. REPORT OF BUSINESS FIRE UNDER APARTMENTS. MAIN GOING TO THE ROOF BY 11:30 AM. T32 ASSIGNED TO THE C-D CORNER. BC15 REPORTS 2 LINES ON THE FIRE, 2 MAINS TO THE ROOF, ROOF BEING OPENED, GROUND LADDER TO THE D SIDE WITH VICTIM AND HIS DOG RESCUED DOWN THE LADDER, PROGREE BEING MADE, WATER ON THE FIRE ON THE FIRST FLOOR, CHECKING FOR EXTENSION BY 11:34 AM. MABAS DIVISION 12 BOX ALARM ON BOX #?? FOR A MULTIPLE INJURY CRASH -- SCHOOL BUSES INVOLVED. WB TO NB ON THE RAMP. REPORT OF SMOKE IN A MECHANICAL ROOM COMBINED WITH AN ACTIVATED FIRE ALARM. ENGINEERING REPORTS A LIGHT BALLAST MALFUNCTIONED IN A BASEMENT MECHANICAL ROOM. E3 CREW ON ARRIVAL REPORTS ENGINEERING AND SECURITY GREETING FIREFIGHTERS ON ARRIVAL. E3 CREW REPORTS SMOKE WAS CAUSED BY A BURNT OUT PUMP MOTOR. REPORT OF POWER OUTAGES AT 3 HIGH-RISE BUILDINGS IN CHICAGO. T6 CREW INVESTIGATING POWER OUTAGE TO AT LEAST 3 BUILDINGS. BC1 REPORTS COMED IS ON THE SCENE. RESIDENTS ARE OK AT THE SCENE AND FIRE COMPANIES ARE LEAVING THE SCENE BY 7:51 PM. REPORT OF A SHED FIRE NEXT TO AN APARTMENT BUILDING/MIXED OCCUPANCY BUILDING. E106 CREW ON ARRIVAL REPORTS IT LOOKS LIKE A LITTLE SMOKE IS SHOWING. T13 CREW ON ARRIVAL ON SIDE A REPORTS THEY HAVE A WORKING FIRE. BC10 REPORTS A 3-STORY ORDINARY MISXED OCCUPANCY WITH A STORAGE SHED ON SIDE C WITH A FIRE, LINE LED OUT, AERIAL LADDER GOING UP INTO POSITION, AND GROUND LADDER TO THE ROOF AT 6:45 AM. BC10 REPORTS 2 LINES ON THE FIRE. ONE LINE KNOCKED A FIRE IN THE FIRST FLOOR STAIRWELL BY 6:52 AM. SECOND LINE IN THE STORAGE UNIT/SHED. TWO LINES ON THE FIRE; PRIMARY AND SECONDARY COMPLETE AND NEGATIVE, CHECKING FOR HOT SPOTS, AERIAL TO THE ROOF BY 7:03 AM. TL10 REPORTS BACK PORCHES BURNING AT 4:43 AM. BC1 REPORTS A 3-STORY ORDINARY, 100X200 WITH OUTSIDE RUBBISH AT THE REAR OF THE BUILDING. 221 REPORTS A 5-STORY ORDINARY, 100X200, FIRST THREE FLOORS ARE A HEALTH CLUB, 4TH AND 5TH FLOOR OCCUPIED WITH 16 APARTMENT UNITS. ALL RESIDENTS EVACUATED BY 4:58 AM. E93 CREW ON ARRIVAL REPORTS SMOKE SHOWING -- WE'RE LOOKING AT 3:37 AM. E93 REPORTS A 2-1/2-STORY FRAME WITH FIRE AT EXPOSURE B, FIRE IN THE BASEMENT, FIRST AND SECOND FLOOR REAR AT 3:40 AM. BC22 REPORTS A 2-STORY FRAME, 25X50, FIRE ON THE FIRST AND SECOND FLOOR, E93 HAS ONE LINE LED OUT AT 3:42 AM. BC22 REPORTS REPORTS 3 LINES ON THE FIRE AND REQUESTS A STILL AND BOX AT 3:49 AM. BC22 REPORTS 4 LINES ON THE FIRE, GETTING FIRE UNDER CONTROL, JUST STARTING TO MAKE INTERIOR ENTRANCE TO FIRST FLOOR TO MAKE A PRIMARY SEARCH AT 3:56 AM. E75 ASSIGNED TO MEET BC22 AT THE FRONT OF THE BUILDING AT 3:58 AM. GOING DEFENSIVE AT 4:06 AM. PRIMARY SEARCH COMPLETE ON THE FIRST FLOOR WITH FIRE IN THE SECOND FLOOR AND ATTIC -- NO EXPOSURES AT 4:12 AM. EMS: A60 FC456 STANDBY A ?? E117 CREW ON ARRIVAL REPORTS A 2-STORY ORDINARY WITH A FIRE ON THE SECOND FLOOR AT 6:15 AM. BC18 REPORTS A 2-1/2-STORY ORDINARY WITH A FIRE ON THE SECOND FLOOR, TWO LINES LED OUT, PRIMARY SEARCH UNDERWAY, ALL COMPANIES WORKING BY 6:18 AM. 2 LINES STRETCHED, BULK OF FIRE HAS BEEN EXTINGUISHED, QUITE A BIT OF OVERHAUL, PRIMARY SEARCH ON ONE AND TWO IS COMPLETE, SECONDARY SEARCH ON ONE AND TWO UNDEWAY BY 6:22 AM. BC10 REPORTS A 1-1/2-STORY ORDINARY WITH A FIRE ON THE SECOND FLOOR, AND ASSIGNS E124 TO HIT THE FIRE WITH THE DECK GUN. E124 LEADING OUT, T38 AERIAL GOING TO THE ROO BY 11:52 AM. BC10 REPORTS MAIN BODY OF FIRE IS EXTINGUISHED, PRIMARY SEARCH UNDERWAY AT 11:58 AM. BC10 REPORTS FIRE IS OUT BY 12:00 PM. BC10 REPORTS PRIMARY SEARCH IS COMPLETE IN FIRST FLOOR, SECOND FLOOR AND BASEMENT. POLICE AND FIREFIGHTER/PARAMEDICS RECEIVED A REPORT THAT THREE VEHICLES WERE INVOLVED IN A CRASH IN THE INTERSECTION. POLICE WERE FIRST ON THE SCENE AND REPORTED THAT AN SUV WAS CRASHED INTO THE BACK OF A SEMI-TRAILER TRUCK WITH THE DRIVER TRAPPED. THE INCIDENT WAS UPGRADED TO A PIN-IN RESPONSE AT 3:31 A.M. THE BATTALION CHIEF FOR ELK GROVE VILLAGE FIRE DEPARTMENT ON ARRIVAL REPORTED ONE VEHICLE IN THE BACK OF A SEMI-TRAILER TRUCK AND ONE VEHICLE INTO A LIGHT POLE. TWO ADDITIONAL AMBULANCES WERE DISPATCHED TO THE SCENE. THE SECOND AMBULANCE (A7) WAS DISPATCH ON THE UPGRADE TO A PIN-IN RESPONSE ; THE THIRD AMBULANCE (A10) WAS REQUESTED AT ABOUT 3:35 A.M. THE PATIENT IN A TOYOTA SUV WAS EXTRICATED BY 3:49 A.M. DRIVERS OF ALL THREE VEHICLES WERE EVALUATED BY FIREFIGHTER/PARAMEDICS. COOK COUNTY SHERIFF AND ELK GROVE VILLAGE POLICE WERE ON THE SCENE FOR TRAFFIC CONTROL AND INVESTIGATION. ALL THREE AMBULANCES LEFT THE SCENE TO HOSPITALS BY 4:03 A.M. THE INTERSECTION WAS CLEARED BY 6:30 AM, ACCORDING TO A WITNESS REPORT. REPORT OF A 3-VEHICLE CRASH WITH ONE VEHICLE ON TOP OF ANOTHER AND MULTIPLE INJURIES. BC6 REPORTS TRAFFIC STOP AT MP 63.75. BC5 REQUESTS SQD55 TO RESPOND ON WORD THAT ONE CAR IS ON TOP OF ANOTHER AT 3:28 PM. SQD55 RETURNED AT 3:31 PM. T52 AND E52 RETURNED AT 3:32 PM. SECOND HOFFMAN ESTATES AMBULANCE REQUESTED AT 3:33 PM. THIRD HOFFMAN ESTATES AMBULANCE REQUESTED AT 3:38 PM. A52 ON SCENE ABOUT 3:40 PM. FOURTH HOFFMAN ESTATES AMBULANCE REQUESTED AT 3:41 PM. ALL PATIENTS TRANSPORTED BY 4:14 PM. REPORT OF A CRASH WITH ENTRAPMENT. CRASH WITH INJURIES. REPORT OF A CAR FIRE CLOSE TO A HOUSE, WITH EXPOSURE TO THE HOUSE. POLICE ON SCENE; HOUSE IS EVACUATED. E21 CREW ON ARRIVAL REPORTS A FULLY-INVOLVED CAR ABOUT 2 FEET FROM THE HOUSE -- UNKNOWN ON EXTENSION. SEARCHES UNDERWAY IN A RAISED RANCH BY 4:24 AM. CHECKING FOR EXPOSURE AT THE EAVES. INTERIOR WARM BUT NO EXTENSION. 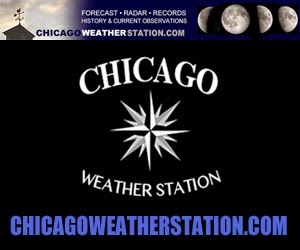 CICERO AVE BLOCKED AT CHICAGO AVE.
REPORT OF A HOUSE FIRE AT 116 ST AND STATE ST.
BC22 REPORTS FIRE IN THE BASEMENT OF A 1 1/2-STORY FRAME BY 2:28 PM. BC22 REPORTS FIRE UNDER CONTROL, PRIMARY AND SECONDARY SEARCHES COMPLETE AND NEGATIVE IN THE BASEMENT AND ON THE FIRST FLOOR. REPORT OF A CRASH WITH INJURIES ON THE EXIT RAMP FROM SOUTHBOUND I-294 TO LAKE COOK RD. CRASH WAS ON TRI-STATE -- NOT ON THE RAMPS. A19 REPORTS TWO CARS MODERATE DAMAGE -- LOOKS LIKE EVERYONE IS OUT AT 3:28 PM. THIRD AMBULANCE REQUESTED ABOUT 3:34 PM. FOURTH AMBULANCE REQUESTED AT 3:36 PM. REPORT OF A PERSON AND A DOG IN THE WATER. REPORTS THAT A DOG OWNER WENT IN THE WATER TO RESCUE HIS DOG. A TOUR BOAT CREW RESCUED THE OWNER, BUT THE DOG IS STILL IN THE WATER. INCIDENT IS JUST NORTH OF HARRISON STREET IN THE CHICAGO RIVER ALONG THE EAST BANK. E1 CREW REPORTS THAT A WITNESS NOW REPORTS A HUMAN IS UNDER WATER -- NOT A DOG AT 3:22 PM. ATTEMPTING TO PINPOINT LAST KNOWN LOCATION. REPORT OF A FIRE IN A 3-STORY BROWNSTONE. BC1 REPORTS A 3-STORY ORDINARY, 25X80; LOOKS LIKE A FIRE ON TWO, E98 HAS ONE LINE LED OUT, TL10 IS GETTING THEIR MAIN UP BY 12:59 PM. STRUCK OUT AT 1:11 PM ON ORDERS OF 221. PRIMARY AND SECONDARY SEARCHES COMPLETE AND NEGATIVE BY 1:11 PM. E116 CREW ON ARRIVAL REPORTS NOTHING SHOWING. BC6 REPORTS A 2-1/2-STORY FRAME, 25X50 WITH A FIRE ON THE SECOND FLOOR. WATER ON THE FIRE BY 7:33 PM. MAIN TO THE ROOF, ONE LINE LED OUT, LADDER TO SIDE A AND SIDE B, PRIMARY AND SECONDARY SEARCH NEGATIVE AT 7:36 PM. PRIMARY AND SECONDARY SEARCHES ON THE SECOND FLOOR ARE NEGATIVE. REPORT OF A ROLLOVER CRASH WITH INJURIES ON WESTBOUND I-90 WEST OF ARLINGTON HEIGHTS ROAD. THE CRASH WAS BBEHIND THE MEIJER STORE BETWEEN ARLINGTON HEIGHTS ROAD AND GOLF ROAD. BLACK SUV AND A BLACK NISSAN ALTIMA. FIREFIGHTERS REPORTED A DELAYED RESPONSE WITH TRAFFIC STOPPED IN ALL LANES AT 11:11 AM. E3 CREW ON ARRIVAL REPORTED TWO VEHICLES IN A CRASH WITH ONE VEHICLE ON ITS ROOF AND PEOPLE OUT AND WALKING AROUND AT THE SCENE AT 11:18 AM. E3 CREW REPORTED NO ENTRAPENT AT 11:18 AM. LEFT LANE OPENED UP BY 11:19 AM BUT THE CENTER AND RIGHT LANES OF WESTBOUND I-90 WERE BLOCKED. THREE-VEHICLE CRASH WITH INJURIES ON NB ROUTE 41 SOUTH OF WESLEY. SECOND AMBULANCE REQUESTED AT 12:02 PM. FOURTH AMBULANCE REQUESTED AND CHANGE OF QUARTERS REQUESTED AT 12:07 PM.